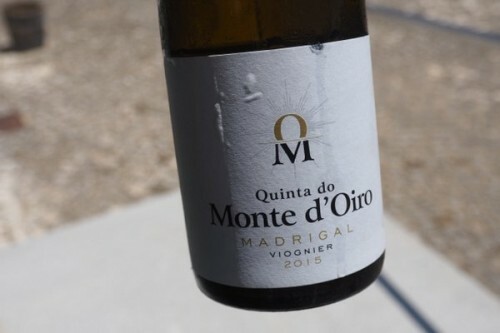 Monte d’Oiro translates as mountain of gold, and it refers to the golden colour taken in early evening by the hill on which many of the vineyards are planted. 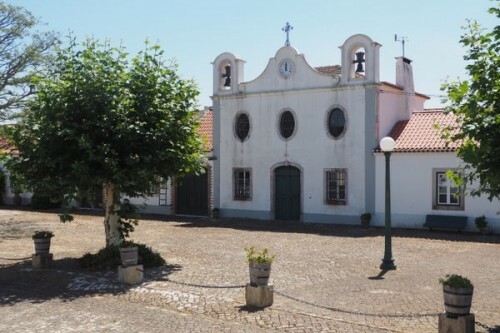 The vineyard is in the Alenquer sub region, with the Atlantic 20 km to the west and Lisbon 50 km to the south. Climate is Mediterranean with the moderating influences of cool breezes: this is a pretty windy site. This is the project of José Bento dos Santos, who was a metal dealer who fell in love with food and wine. 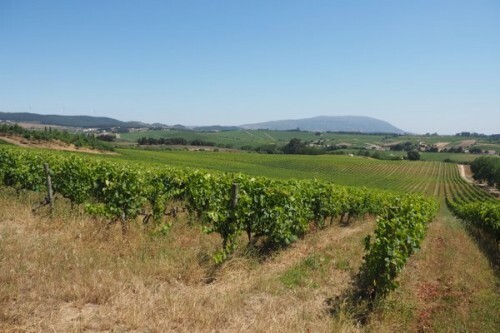 He bought the Monte d’Oiro estate, and decided to plant it chiefly with Rhône varieties, especially Syrah, Viognier and Marsanne. José was a private customer and friend of Michel Chapoutier, and for a while they had a joint venture together. 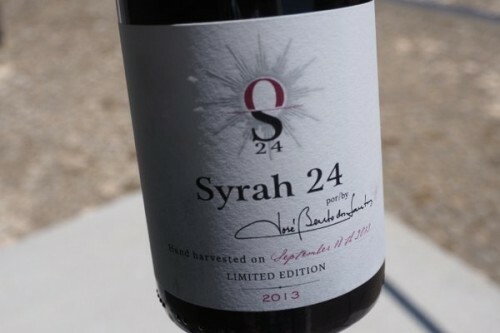 Chapoutier helped procure some cuttings from top northern Rhône sites to plant a 2.5 hectare block high density (8000 as opposed to the normal 4000 vines/ha) with massale selection Syrah: a separate wine from this block 24 is now made. 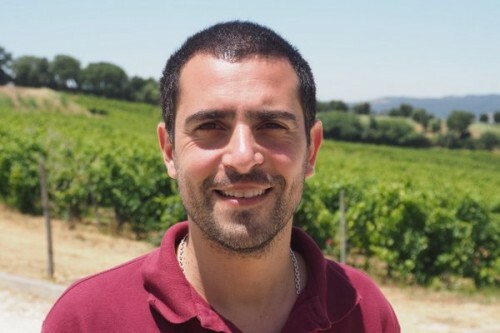 The Chapoutier joint venture didn’t last, but Grégory Viennois, who was Chapoutier’s winemaker and is now with Laroche, is still consulting here. He comes quite a bit and takes an active role: he’s not just a consultant that arrives, does some Instagram pictures, takes his cheque and leaves. 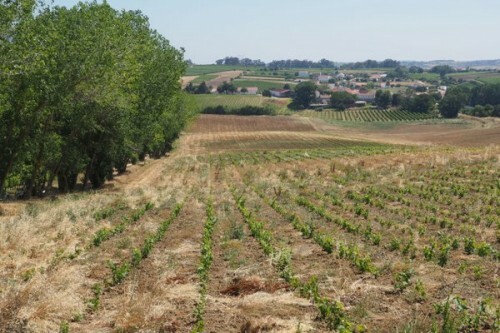 Altogether, there are 20 hectares of vines on the site, but this year another 9 hectares have been planted with a similar mix to the varieties already on the farm. 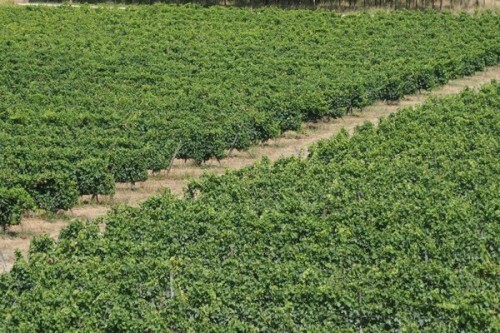 The exception is a half-hectare block planted with a variety that’s secret, for now. My ampelography skills weren’t sufficient to work out the identity of the variety, although I’m hoping it’s Gamay, even though Grenache would be a more sensible choice (it didn’t look like Nebbiolo; maybe it is Sangiovese?). I met with José’s son, Francisco Bento dos Santos, who has been involved here for quite a while and who’s been running things since 2012. I also met with winemaker Graça Gonçalves. 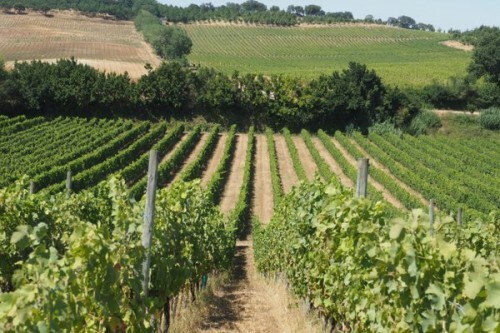 The vineyard has been farmed organically since 2006, but was only certified in 2015. 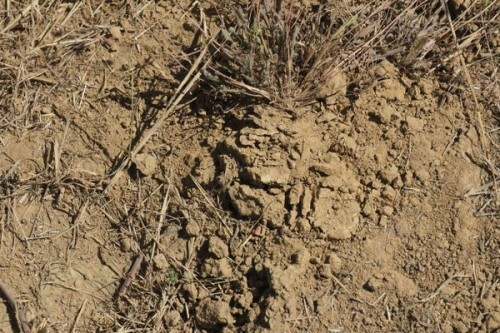 Soils are calcareous clay loams, and vary a bit: some blocks are more calcareous, and some are quite a bit more fertile. The fertile soils in the valley are used for whites, but the best Viognier block is on the main slope. 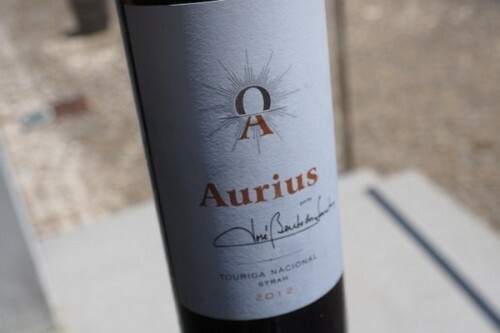 All the wines are made from estate-grown grapes.